Compare Mattress Brands to Ours and See How We Stack Up! With so many options these days, choosing the mattress that’s right for you can often turn into a confusing chore. Most mattress companies spend heavily in expensive marketing programs, celebrity endorsements, and empty promises, instead of focusing on building a better mattress. At Amore Beds, we’re different. From day one, we promised ourselves that helping people get the best sleep of their lives would be at the very core of everything we do. We don’t cut corners and we don’t pinch pennies. We put our money and our decades of industry experience into crafting our world-class mattresses. Our hard work has resulted in mattresses that are consistently rated higher than competitors, both by professional reviewers and real customers! Compare mattress brands below and see how we stack up! 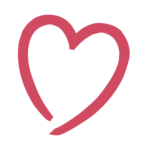 What Makes Amore Beds Mattresses So Great? Frankly, a lot of things. The easiest way to break down the differences between mattresses is to do a simple comparison with some of the more popular online mattress companies out there. Let’s look at what we believe are our three best qualities: hybrid-technology, multiple firmness levels and performance fabrics. 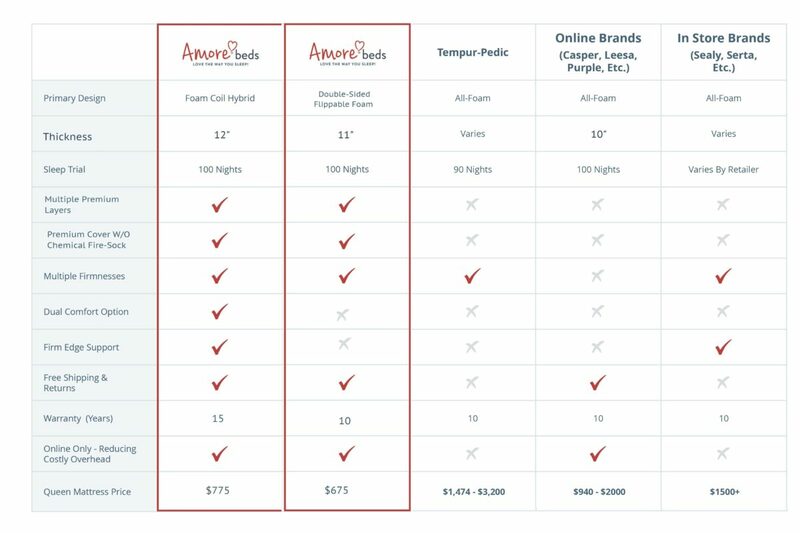 We’ll compare our Amore Beds 12” Hybrid vs the competition of some trending mattresses to see how we stack up. The flagship AmoreBeds mattress features revolutionary hybrid technology that combines cooling-gel foam with individually encased 4” coils. Our Fusionflex™ comfort foam actively supports spinal alignment while cushioning pressure points to help facilitate blood flow and more restful sleep. The cell structure of our foam is inherently cooling, dispersing body heat to regulate your sleeping temperature quickly. Our individually-cased 4” coils respond instantly to your movements through the night and offer enhanced support. Because each coil individually reacts as needed, motions are isolated and partner disturbances are minimized. Additionally, our coils allow for increased airflow and greater breathability than an all-foam mattress, providing a cooler and more comfortable night’s sleep. Since hybrid mattresses and multi-layer designs cost more to manufacture, some companies opt against your best sleep interests and instead construct a 2 or 3-layer foam mattress comprised of stock-standard polyurethane wrapped in a chemical fire-sock. 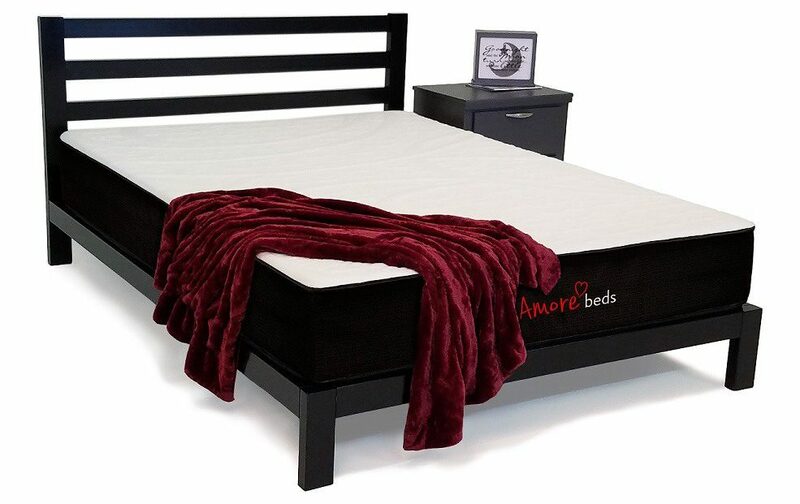 Note: For those who prefer the feel of an all-foam mattress, we suggest looking at our unique Amore Flippable, which is CertiPUR-US certified and manufactured without the use of dangerous solvents, adhesives or chemicals. TIP: When purchasing a mattress, make sure you take note of its thickness. Larger companies have started selling 9.5″ to 10” mattresses; this is a relatively “hidden” way of cutting costs and is all fluff with minimal innovation. 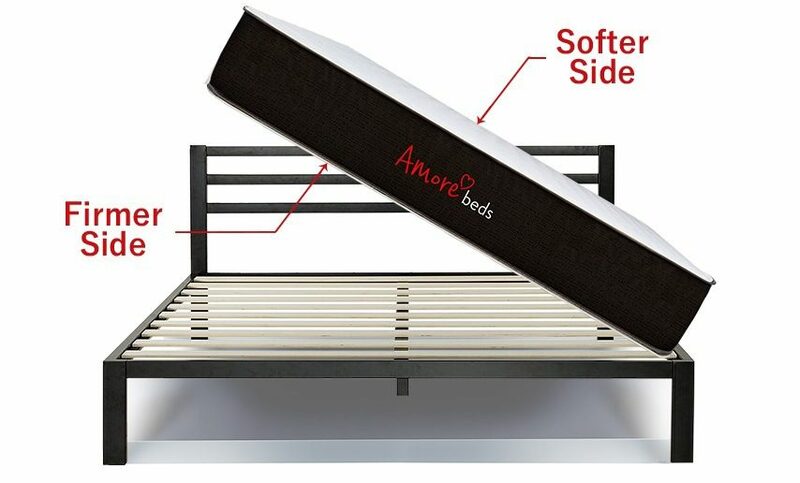 At Amore Beds, our 10-layer flippable is 11″ and our 8-layer hybrid is 12″, providing that much more support and comfort. When you compare mattress brands, you can see that more than half of today’s popular companies prefer to cut costs and charge a premium with all-foam construction. When it comes to sleep, we understand that people have different preferences. Some people like to sleep on their backs, others on their sides or stomachs. Some people prefer a firmer mattress and others something cushier. Bottom line: there is no such thing as a one-size-fits-all mattress. At Amore Beds, we want to offer each customer a mattress that is personalized to their sleeping preferences. That’s why our hybrid offers three different mattress options: soft, medium and firm. Many of our competitors only offer one single mattress firmness. Why? Because providing different firmness options increases mattress costs, cutting into their profit margins. Sure, it costs us more to offer different firmness options, too. But that’s how we choose to do business and why you’ll love the way you sleep with an Amore mattress. Providing this difference between our mattresses is much more important to us than a slice of additional profit margin. To take things a step further, we offer a dual-firmness option on our hybrid mattresses as you and your partner may have different sleeping preferences. The science behind it is exactly as it sounds. When manufacturing your mattress, we can literally put two mattresses into one, so if your partner prefers a firm mattress and you prefer a soft, neither of you has to compromise. Additionally, our 11” Flippable mattress is constructed in a way that its firmer on one side and softer on the other, taking dual-firmness to the next level! Comparing with the hybrid-technology, even less offer a dual-firmness option. When you start to get past the marketing gimmicks, it can get a little scary can’t it? At Amore, we believe the fabric on top of the mattress is just as important as the components inside. That’s why we offer two outstanding options. The first fabric cover option is our hypoallergenic organic cotton fabric, which is manufactured without pesticides or chemicals. Cotton is inherently breathable, which allows your body heat to quickly disperse, keeping you comfortable through the night. If you are looking for a more “healing” sleep, you’ll love our second option: our therapeutic, copper-ion infused bamboo fabric. Naturally anti-bacterial, copper is known to improve the appearance of skin and assist with your body’s natural healing processes. Many of today’s companies skimp on the mattress cover, and opt for polyester or cotton blend fabrics. These fabrics don’t breathe and they trap heat as you sleep, leading to sweaty nights and sticky sheets. Of our 10 mattress companies, which ones have opted for 100% cotton, hypoallergenic organic cotton or copper-ion infused fabrics? Another similar result, with a majority of the major mattress companies opting against using the best quality materials in their mattress. Mattress pricing can often be a delicate issue. For mattress manufacturers that use premium materials, sourcing these materials can be an expensive endeavor. For other companies, the inflated cost of a mattress may cover such things as overblown marketing expenses, middlemen, and/or company retreats. In order to make as much money as possible on each bed, there is a current trend for mattress companies to scrape away every piece of margin, sacrificing quality, which is why many mattresses are 10” of non-premium foam. 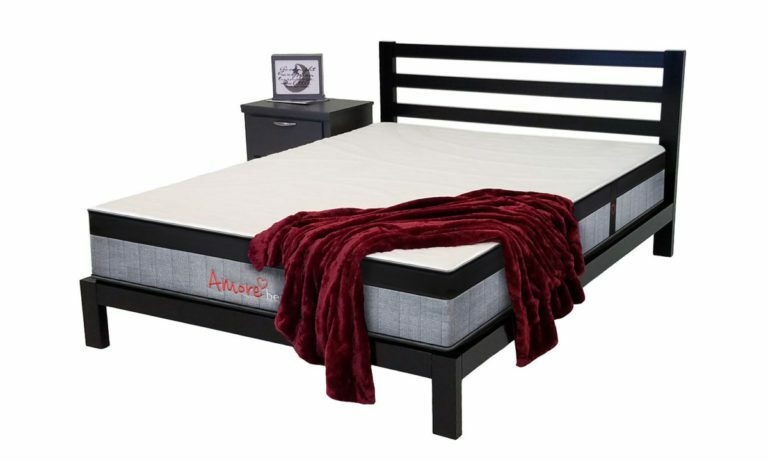 At Amore Beds, we’re proud that we manufacture a world-class mattress, utilizing the latest technology and premium materials, for a fair price. To compare, we’ve done some research to see how our pricing stacks up. All pricing comparisons were made on a standard queen-sized mattress price as of August 7th. INCOMPARABLE VALUE: Other companies simply can’t compete with our offering. You’ll struggle to find another hybrid-technology mattress that has firmness options, dual-firmness capabilities and organic performance fabrics at a price that matches ours. Partner with us, sleep on the best, and get your best! The results show that a disappointing number of leading mattress companies tend to use cheaper, below-par materials, lack firmness options, and don’t offer the premium fabrics that enhance your sleeping experience – yet they still charge a premium price (somebody has to pay for all their advertising). We’re proud of the mattresses we’ve created at Amore Beds and naturally, when compared with other mattress brands, it’s obvious who comes out on top. Our unique combination of hybrid-technology, firmness options, and performance fabrics makes us your best choice for comfort, quality, and value. 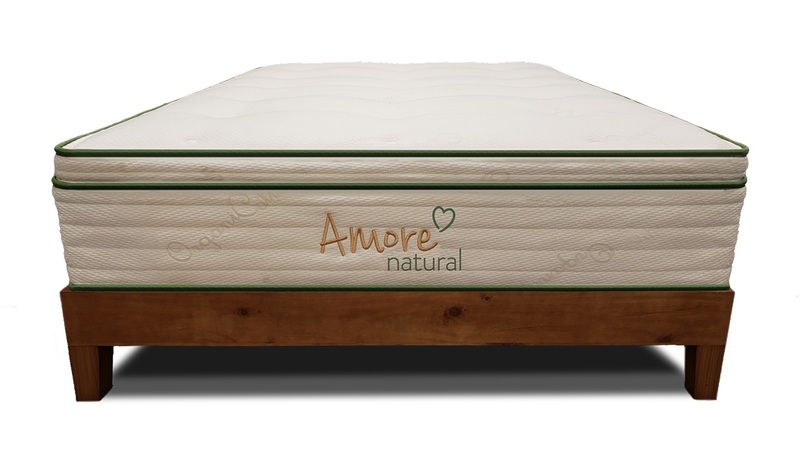 It’s clear why nobody attempts to compare their mattress to Amore Beds – Because they can’t. And if you are looking for a mattress that puts the competition to shame even more, check out the pinnacle in mattress technology with 100% natural latex and 6″ zoned coils with our Luxury Hybrid. Free Shipping. 100% Risk Free.